How should the U.S. handle migrants arriving at its borders? 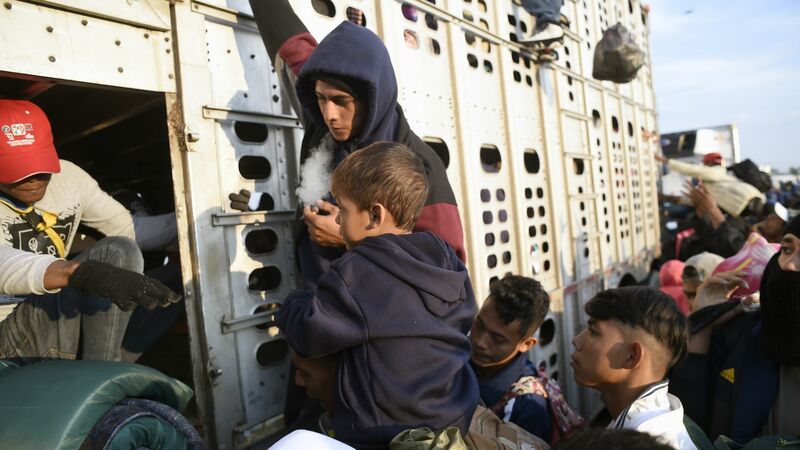 About 100 migrants who have traveled hundreds of miles through Mexico could reach the U.S. port of entry between Tijuana and San Diego, California on Sunday, ABC News reports. The big picture: There are an estimated 11,000 migrants mostly from Central America traveling in multiple caravans toward the U.S. right now. Around 80 members from the LGBT community arrived at the border on Sunday, after traveling on anonymously donated buses, per NBC San Diego. Thousands of U.S. troops and militia groups are at the border in anticipation of these caravans. Customs and Border Protection officials plan to shut down several lanes of traffic through the border into San Diego in anticipation of the caravan, according to the Los Angeles Times. The Trump administration has instituted a new rule, targeted at these migrants, that will prevent anyone who crosses the border illegally from gaining asylum. This is likely to lead to overcrowding at ports of entry that are not designed for processing and holding hundreds — or thousands — of new asylum seekers. What's next: The port of entry between Tijuana and San Diego is already at capacity, meaning that these migrants will likely have long wait times in Mexico until they can even make an asylum claim. By the numbers: More than 70% of Honduran, Salvadoran and Guatemalan asylum-seekers were denied defensive asylum in the U.S. between FY 2012 and FY 2017, according to data collected by the Transactional Records Access Clearinghouse at Syracuse University. And only one-quarter of all affirmative asylum applications were approved in the first three quarters of FY 2018, according to data from USCIS.